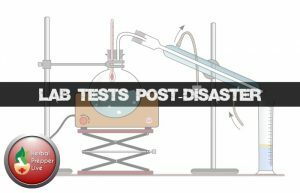 Could You Set Up a Post-Disaster Medical Lab? After a disaster, we know to expect no grocery stores, no pharmacies, no running water, no electricity, and so on. Quite possibly, access to a hospital would be limited or non-existent too. Guess what every doctor and medical facility is dependent upon and would also be out of commission- the lab. One of modern bio-medicine’s great strengths is its diagnostic capabilities. Another is its surgical interventions. Surgeries and accurate diagnosis are dependent upon the results of lab tests. Blood and urine tests tell us important information like glucose tolerance, if a woman is pregnant, and how to pick the correct antibiotic for infections. 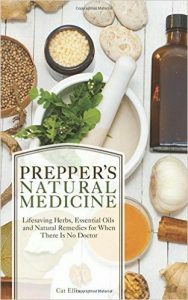 Frequent guest and soon-to-be instructor with Herbal Prepper Academy, Chuck Hudson will be joining us to talk about the value of setting up a basic off-grid lab in case of emergencies. 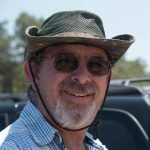 Chuck is a former combat medic, EMT-P, and survival instructor based in New Mexico. He will also walk you through some of the basic equipment which you will need for your emergency lab. Maybe you are lucky enough to have a doctor as part of your readiness group or in your neighborhood when a crisis hits. Rather than let him or her fly blind, making their “best guess” on how to help people, think about the value in being able to provide those missing lab tests. This would be a huge support for everyone involved. 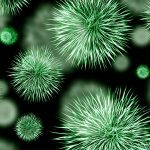 Even if you don’t have a doctor on hand, if you have an herbal “pharmacy”, knowledge about the anti-infection actions of various herbs, and you can identify what kind of infection a person has, consider how this would help survivability in a long-term, down-grid scenario. While herbalists have other indicators which help us determine which herb to use, such as Vitalism and non-biomedical models (TCM, Ayurveda, etc), having an accurate diagnosis from a physician provides another level of insight, helping us select the best herbs for the situation. There is a lot to be gained from both a traditional, Vitalist approach and a biomedical approach, using each system to one’s best advantage. This episode will show you how. Listen to this broadcast or download “Could You Set Up a Post-Disaster Medical Lab in player below! Previous: Previous post: Bushcraft: must have prepper survival skills!